This is one of the most interesting articles I have read in a long time. Millenials are moving to smaller "Rust Belt" towns and small cities to escape the high cost of living in the larger metro areas. Heavy student debt loads, combined with skyrocketing rents and home costs, are part of the appeal to live in a place where housing is affordable. "We are seeing an intense interest in participating in the revitalization of our towns and being a part of the community. It's palpable, and it's exciting," he added." Millenials want affordable housing, but they also want to belong to a place, and to be involved in the life of the community....a major shift from a long trend of community disengagement in America. Home-based work AND the ability to shop online has diminished the need to a)Live close to your employer, and b)Live close to stores and essential shopping needs. What ties all this together? Millenials, no matter where they live, are heavy users of the Internet and want and expect to be connected 24/7. Affordable, high performance broadband is the essential ingredient in this major shift in community and economic development. Smaller towns and cities that do not have a strategy for ensuring that they have the necessary broadband infrastructure to attract and keep Millenials are not going to be able to benefit from this trend. 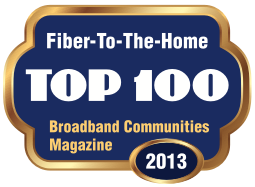 Broadband Communities magazine has a story that should be required reading for every community wondering if there is linkage between Gigabit fiber and economic development. Lafayette's municipal Gigabit fiber network has brought Hollywood special effects jobs to the community, more than a hundred, because the high performance Gigabit network lets Pixel Magic move the computer files back and forth between Lafayette and California quickly. Pixel Magic brought jobs to Lafayette because the local economic developers created a 3D visualization facility (Louisiana Immersive Technologies Enterprise, or LITE) that was designed specifically as an economic hub. LITE has been a huge success that has attracted several new companies to Lafayette. You don't think of Gulf Coast Louisiana as a high tech destination, but the combination of Gig fiber and a broad economic development vision has been successful. Lafayette's success also demonstrates that you can't rely on the Field of Dreams model: "If we build it, businesses will come." Lafayette has been successful because they linked their fiber network to a carefully thought out economic development strategy. Be sure to read the whole article. It's an eye-opener for those arguing that communities should not be investing in fiber. This is 2007 data from the U.S. Census Bureau, which reported that half of U.S. businesses are located in the home. Half, as in 50%. Which validates what I began saying ten years ago: Neighborhoods are business districts. Communities that ignore this data and continue to hope that marginal DSL, asymmetric cable, and too-expensive cellular data services are "good enough" are closing off their own economic future. If you are building a fiber network today, it costs virtually nothing extra to provide a Gig connection to every home and business. Gig network gear is now priced to place everywhere. The telephone and cable companies continue to talk about Gig networks as some kind of hideously expensive, esoteric option. Amazon's Kindle Fire HD tablet costs more than the Gig box we use in our networks now, but no one says the Kindle table is too expensive. The incumbents slyly turn every discussion of bandwidth (which again, is mis-guided) into another pointless argument by claiming, "No one needs a Gig of Internet." Agreed! But we are talking about the size of the road, not the size of one truck that uses the road. Broadband is the road, and when we deliver a Gig on our networks, it is a Gig digital road to everyone's home and business. A package of Internet is just one "truck" that uses that road. Other "trucks" include business videoconferencing, access to the company VPN from home, large file transfers, and many other services (trucks). The incumbents have been hugely successful with these two strategies of diverting the discussion to stuff that does not really matter. Instead of talking about the real issue, everyone ends up confused and frustrated with the misinformation. I am reminded of a household study done in a rural county in the northeast about seven years ago. This was a very large, relatively isolated area, and it was the first time economic developers had ever polled households to see if there was any business activity in the home. They were shocked to discover more than 400 businesses that had never appeared on their radar. And I continue to see that today, with a continued over-emphasis on industrial parks, retail, and other traditional lines of business. It's not that those should be neglected, but with small and start-up businesses adding most new jobs.....neighborhoods and rural roads are business districts that need time, attention, and support from economic developers and community leaders.